A fool I was doing my very first pilgrimage on my own, wearing open toed sandals walking the plains of Assisi in a little town called Porziuncola all the way to top of the hill of Assisi where the Basilica of St. Francis stood magnificently fortified with thick concrete walls. Through a small window, I see how far and small the town is. Losing a toenail was worth it; the reward is the joy of understanding what St. Francis has been teaching us all along. Joy. The joy that surpasses beyond understanding when I said “Yes” to hope, “Yes” to belief, “Yes” to faith. Over time, the more I reflected on this journey 17 years ago, I am no longer threatened by anyone’s success for I gave up being proud. Giving up does not mean poverty. Giving up enriches my soul. I wish I can explain it and put it into words, but I can’t. I suppose the best way to describe it as I continuously learn from Francis of Assisi, I am able to assess what is truly important and what is not. 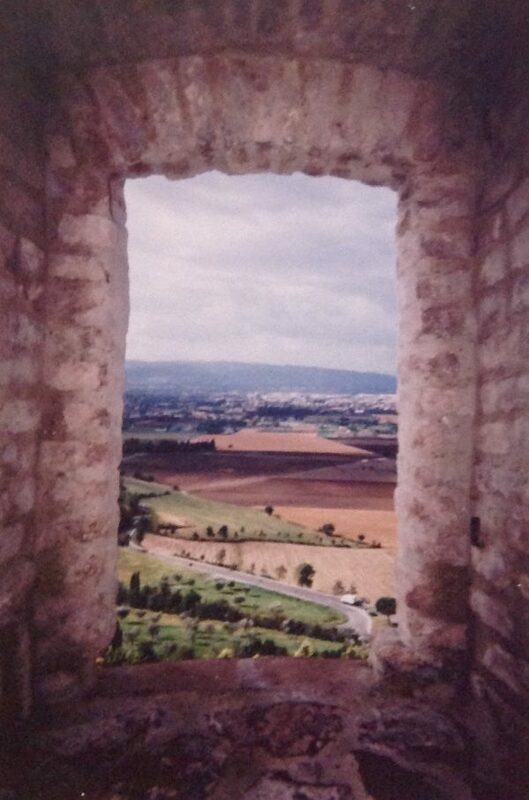 This entry was posted in St. Francis of Assisi and tagged Conversion, Faith, Life, Photography, Pilgrimage, Reflection, Spirituality, St. Francis of Assisi, Sunday Snippet, Window by Perpetua. Bookmark the permalink. The older we become the wiser we become as well. Youth has its positives and experience has its positives as well. May you continue to walk with Christ and grow in His love. Peace.